Posted by Candie Kates on Sep. 1, 2016 13:50:25. Unlike iPhone, you can easily manage Android phones on computer via USB cable. We connect our Android device to PC for different purposes, including file transfer, data backup, data recovery, app management, rooting, etc… However, the prerequisites is that the phone should be detected by computer first. Unfortunately, there are sometimes that the phone is not recognized by our computer for various reasons. In this article, we will show you the reasons one by one in order to solve this problem. This happens mostly on old computers. The port for connection may be damaged or malfunction due to long time usage. Usually, changing the port will fix this problem in a minute. USB debugging is an unique feature on Android-based smartphones. This features allows computer sending commands directly to Android phone with the help of USB cable. Without it, the computer will definitely fail to recognize the phone. You can check this feature through Settings -> Developer options -> USB debugging. If you can't see the developer options, then it means USB debugging is not turned on. 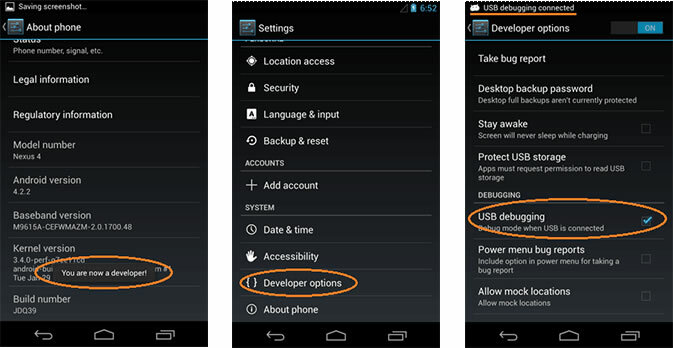 Here is a detailed guide on how to turn on USB debugging on Android. 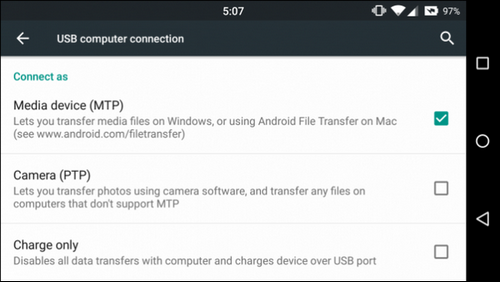 There are two connection types for each Android phone or tablet: one is Media Device(MTP) and the other is Camera(PTP). For file transfer and other operations, MTP should be checked. If not, then the connection will fail. You can enable this feature via Settings -> Storage -> More -> USB computer connection -> Media device. Android USB driver is a sets of micro programs to let the communication between computer and Android phone work smoothly. 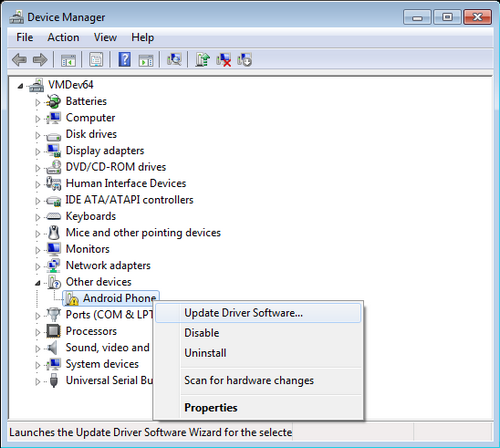 When you update the Android OS or upgrade computer operating system, it is highly recommended to update Android USB driver accordingly. There are comparability issues with old USB driver, which makes hard to let the computer scan your Android phone. Please download the latest USB driver from this page. Please make sure download the corresponding one. With a damaged USB cable, there is zero chance for the phone being recognized by any computer. And this is one of most commonly reasons for this problem . Find another Android USB cable and use it to connect Android phone to computer. If this works, then you should immediately change the old cable and buy a new one. If the problem still exists, then check the suggestions below until the issue being solved. If you followed all the suggestions listed above and the problem still exists, then it is highly possible that there are problems with the connecting port on your phone. You need to take the phone to a local repair shop and have a full check about the phone. For physically damaged phone, we can't help much on this. Please do as the technician suggested.